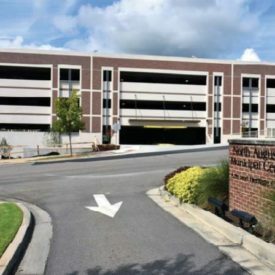 Substantial expansion is underway on the VAMC campus as it expands to incorporate facilities lost in neighboring Gulfport, Mississippi during Hurricane Katrina. 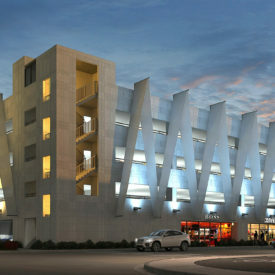 The additional medical facilities brought to the campus demanded a substantial increase in automobile parking capacity that could only be achieved by a new, multi-level parking structure. 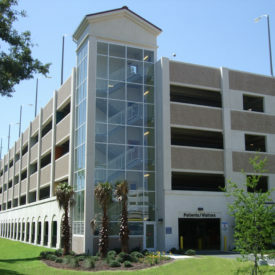 This five-level, pre-cast concrete parking structure houses a total of 982 vehicles and is accompanied by an updated and reconstructed adjacent surface parking lot accounting for an additional 257 parking spaces.